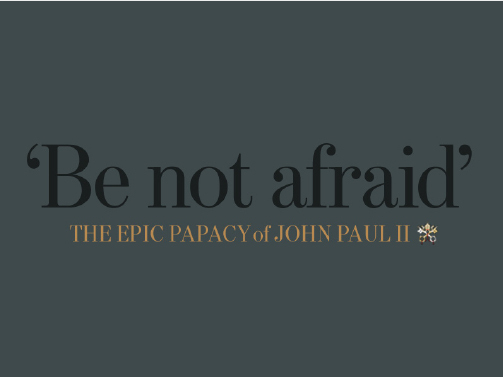 Chicago Tribune, "Be not Afraid: The Epic Papacy of John Paul II"
BACKSTORY With the Chicago Tribune’s vast archive of assets from photography, interviews, videos and articles, our team took the lead on producing a rich narrative. I established overall design architecture, interactivity and style guidelines, designed all the screens in photoshop, worked as the point person with the outside developers and coordinated all the assets with editorial team. The previous summer, I cross-trained on the Tribune Good Eating television program for 3 months while working on the weekly print edition. This experience enabled me to create a master storyboard arc template for the project videos. That was my first experience with a moving editorial narrative and I loved it. IMPACT Success. Ushered in a new era in archival harvesting for digital storytelling at Tribune Media. From the opening screen the user launches into 9 chapters of the Pope’s life which leads into each individual story. Within the story, the user can access the glossary, graphics, biographies and video that pertains to the content. From outside the story, the user can access all the assets from the horizontal bar along the bottom of the screen. This would include the overall timeline of the Pope’s life by WGBH, photo, audio and video galleries, articles, maps and graphics, biographies and a glossary.